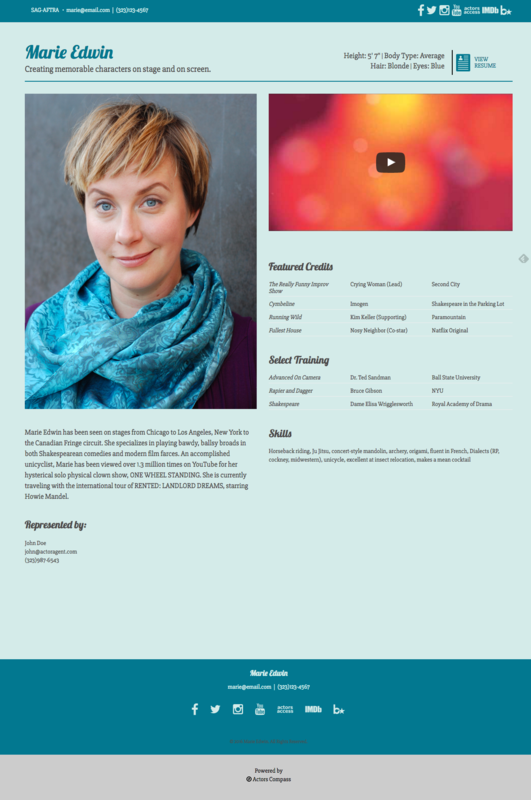 Actors Compass is a premier website builder tool specifically for actors. It’s the easiest way to get your acting resume and portfolio online for free. Built in partnership with Keller Digital and The Think Farm from soup to nuts, Actors Compass offers a completely customized interface that allows actors to upload their resume, headshot, and reel in just a few clicks. Check out the FREE tier to get your resume online today, or upgrade to our Pro tier to add more design choices, more photos, more videos, and your own custom blog.